If you’ve ever had a broken tooth, then you know how painful it is. Having a broken tooth is usually not a matter of how careful you are. It’s usually accidental. 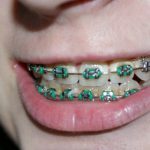 But even while you may have minimal control of this, having knowledge of broken teeth and what to do after can save you a lot of pain and prevent the situation from escalating further. 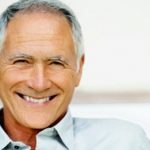 Broken teeth need to be treated immediately. The sooner you see a dentist, the better your chances of saving the tooth (depending on the extent of damage). Usually, the damage gets worse with time. The crack allows bacteria to get to the pulp tissue. Here, it spreads and creates an abscess. With time, a pocket of infected tissue forms. The abscess can be painless or painful. If it is not painful, it can be difficult to notice. However, if you don’t have it treated soon, the infection could spread to neighbouring teeth and other body parts, leading to severe complications. You will experience a lot of pain. The first thing to do is to take some pain relievers. If you don’t have pain relievers, place an ice pack on the face to ease the pain. These actions will buy you some time to get to a dentist and have the situation corrected. Unfortunately, there are no home treatments for fractured teeth. When your tooth cracks, you have to see a dentist for treatment. Usually, the tooth may look fine and may only hurt when temperature changes or when you are eating. But if it hurts always, then your nerves might have been damaged; this is a severe symptom. 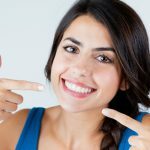 How will you know your tooth is cracked? Well, if the tooth doesn’t hurt when you bite down on it and only sends a sharp pain coursing through your veins when you stop biting, then your tooth is cracked (1). Again, if your tooth is broken, you should visit a dentist as soon as possible. The dentist will determine the cause of the break. If the reason is a dental cavity, then the nerve is at risk. Damaged nerves require the dentist to perform a root canal. If the broken tooth is painful, take some pain relievers like acetaminophen. Later use brine (salt water rinse) to rinse your mouth. This solution will prevent infection and tone down the swelling. However, if the break leads to a jagged edge, cover it up with sugarless chewing gum or orthodontic wax; this will protect your tongue, lining of the cheeks or lips from damage. Eat soft foods only. Avoid biting down on the damaged tooth. These cracks are also known as craze lines. These are surface cracks that affect the enamel. Usually, no treatment is required. But when we notice a minor crack during your dental check-up, we may polish the surface and remove rough spots. This fracture involves the entire crown of the tooth; from the enamel to the pulp cavity. The tooth pieces remain safely secured in the jaw socket. But with time, the crack spreads. This type of damage can possibly be repaired using filling material. The dentist may also install a crown to prevent the tooth crack from becoming worse. If the crack gets to the pulp cavity, you might need a root canal (2). Small chips like minor cracks don’t need treatment. 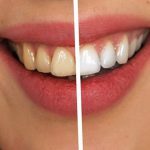 However, we suggest repairing the chip with filling material; this prevents the damage from worsening with time and improves the tooth’s aesthetics. If the chip is super small, then we will polish and smooth out the affected area. Such breaks affect the chewing surfaces. This damage rarely affects the pulp and doesn’t cause pain. 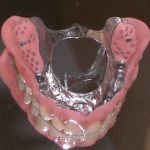 We can repair a broken cusp to improve dental aesthetics. To do this, we need to install an onlay or a crown. Serious breaks affect the pulp cavity and expose the nerve endings. They always cause tooth sensitivity and pain, and often, the broken part bleeds. The dentist needs to conduct a root canal treatment to get rid of the damaged nerve endings and install a crown to protect the tooth from future infection as well as restore normal tooth function, including eating and chewing. When a tooth splits, it is divided into two separate bits. Any tooth can sustain such damage but premolars and molars are the most susceptible. During treatment, the dentist may be able to save one root. However, they need to cover it up using a crown. The process starts with a root canal, followed by the removal of the unwanted roots and finally, the installation of the dental crown (3). These cracks start from the root and work their way up to the cusps. These cracks are quite painful and are usually accompanied by root infection and inflammation. In such a situation, the dentist has to remove the tooth. The tooth breaks as a result of a cavity weakening it from the inside. 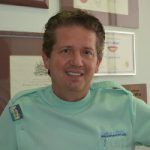 The dentist evaluates the cavity damage and recommends the best process to restore the tooth. If the damage extends to the jawbone, then they have to remove the tooth. 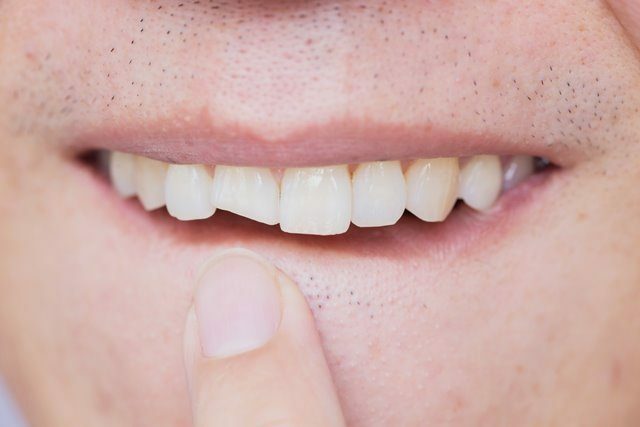 Now that you know how serious a broken tooth can be, you should always visit a dentist as soon as possible if you suspect that any of your teeth have broken. Do not procrastinate as it could worsen the situation.